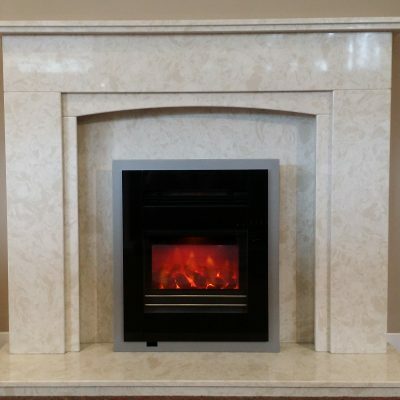 The Chiltern fireplace is carved from beautiful New Zealand Oamaru solid stone. 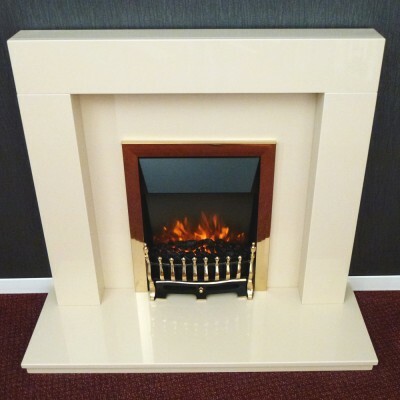 This expertly carved fireplace manufactured here on site at Measham boasts spectacular profiling and is hand finished to perfection by our own time served masons. Finished with matching internal stone chamber and complementary honed natural black Granite hearth and inner base. 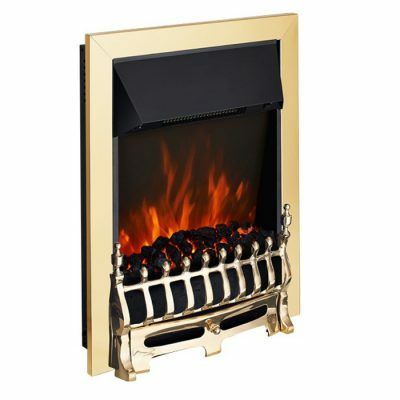 Designed in mind for a free standing stove in either gas, electric or solid fuel burning. 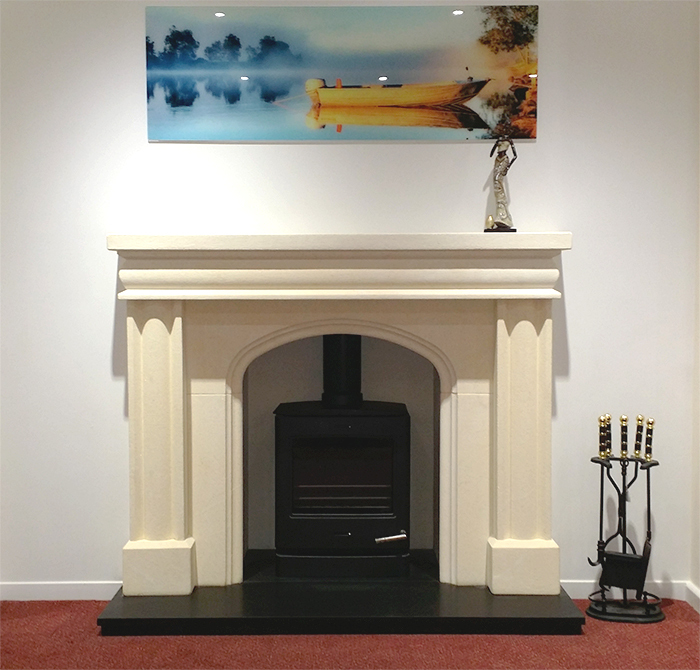 Oamaru Cream Limestone Surround with matching Cladding. Black honed Granite base and Hearth. Multi-Fuel, Woodburning, Gas or Electric. Total length – 1372 mm. Total height – 1145 mm. Outside legs – 1280 mm. 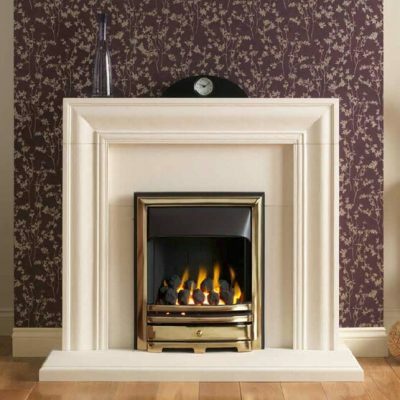 Hearth size – Length 1372 mm x Depth 381 mm x Height 50 mm.